This is a photo of the Upper Villa (上離宮) area including Yokuryuchi (bathing dragon pond or 浴龍池) from Rinuntei (隣雲亭). Unfortunately, I did not get to see the bathing dragon because that would have been cool. 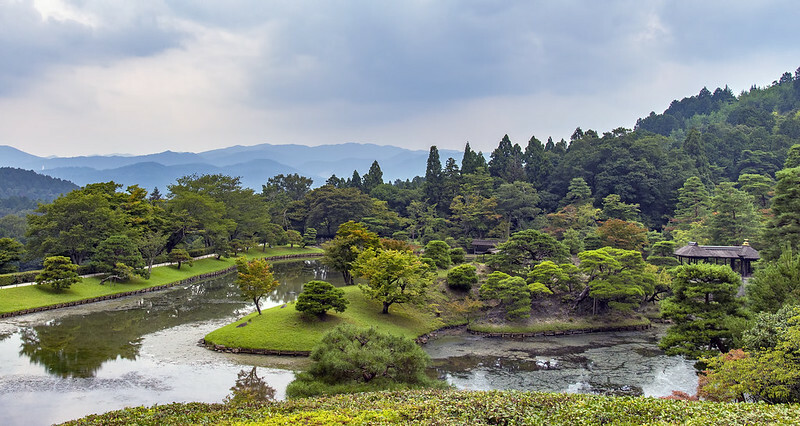 The Shugakuin Imperial Villa tour (must be booked in advance) includes views beyond the original villa. 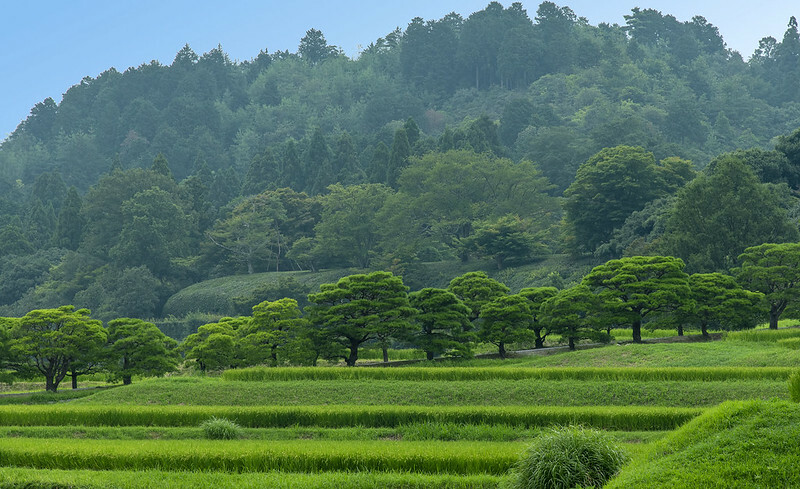 In the 1960s the Imperial Household Agency purchased the surrounding rice paddies to save the neighborhood from possible development. Locals lease the property from the agency and grow the rice for their own business ventures.